Cinder blocks are used in all types of construction in the United States and elsewhere. They are strong and weigh more than you might think. Most of these types of blocks weigh approximately 30 to 35 pounds (13 to 15 kg). Lighter alternatives weigh around 28 pounds (12 kg). 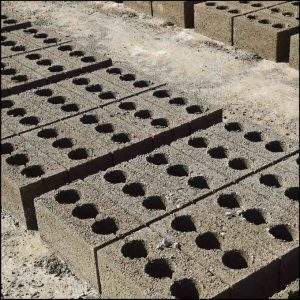 These blocks are also known as breeze blocks, besser blocks, hollow blocks, or concrete masonry units (CMUs). They are hollow blocks made from concrete and cinder aggregate, such as fly ash. Standard two-cell cinder blocks in the United States measure 8 inches by 8 inches by 16 inches. They have an R-value of 1.11, which is their insulating power. • 4-inch CMU – 4 by 8 by 8 inches. • 4-inch CMU – 4 by 8 by 16 inches. • 6-inch CMU – 6 by 8 by 8 inches. • 8-inch CMU – 8 by 8 by 8 inches. • 8-inch CMU – 8 by 8 by 16 inches. • 10-inch CMU – 10 by 8 by 8 inches. • 10-inch CMU – 10 by 8 by 16 inches. How Much Does A Cinder Block Cost? 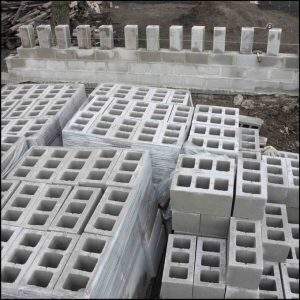 Cinder blocks can be purchased individually or in bulk. Generally, these blocks cost between $1 and $3, depending on the quantity you need. Concrete, in one form or another, has been used for thousands of years. Despite humans having this building technology for so long, cinder blocks only started being used in the 1830s! 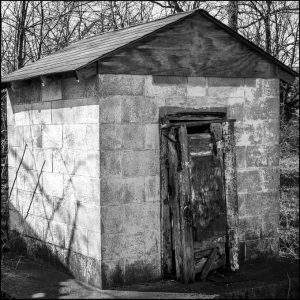 The first house to be built in the United States from cinder blocks was built on Staten Island in New York in 1837. However, it would take another 60 years or so for these building products to be embraced by the construction industry.